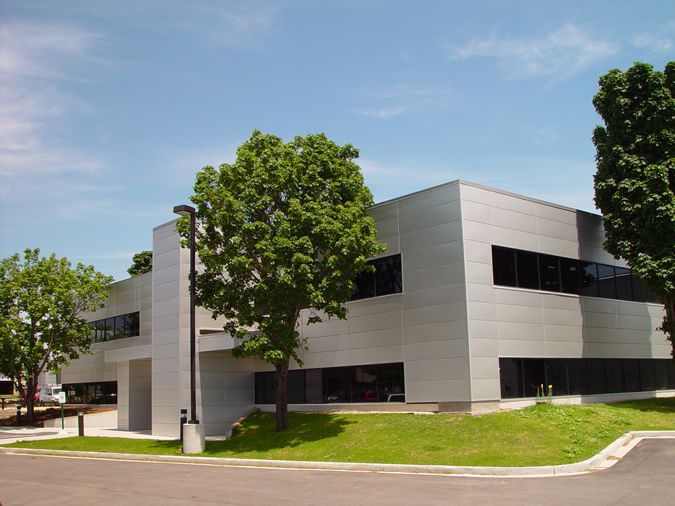 The Sunlite Plastics project in Germantown, WI was a complete exterior existing building renovation and addition featuring nearly 7,000sf of .080” aluminum Dri-design panels with a custom Silver Kynar paint finish. The custom Dri-design panels are featured at exterior wall surfaces, canopy soffits and columns at the building entrances. Panel attachment was completed using a APW designed subgirts system since the buildings original exterior was a concrete block or aggregate-stucco. The custom colored mica paint color selection enhances the building’s aesthetic appearance to match to company’s high-tech business image.